One of the great things about celebrating Chinese New Year’s is that I get a second whack at tackling those dreaded New Year’s resolutions. Needless to say, the first round didn’t go so well in the department of eating healthier, but this time around, I was determined to get it right. Andrea Chiu did her own naturopathic detox diet a few months ago, and she was helpful in providing me with suggestions and guidance to what I should (and can) eat. For the next 10 days, I’ll be giving up sugars, processed foods, meat, dairy, some grains, alcohol and caffeine. It’ll be interesting to see how I’ll hold up, especially considering I have to give up my beloved yogurt, cheese and milk! There are still many things that I can eat, including lots of fruits and vegetables (which won’t be a problem since I love them! ), some grains (including brown rice, quinoa, buckwheat and steel-cut oats), beans (including yummy soy), olive oil, natural sweeteners (like honey), and lots of herbs and spices to add flavour to my food. Day 1 went well so far. It helps to actually plan when you’re planning on going on a detox (or any sort of diet) so that you’re mentally prepared to do it. 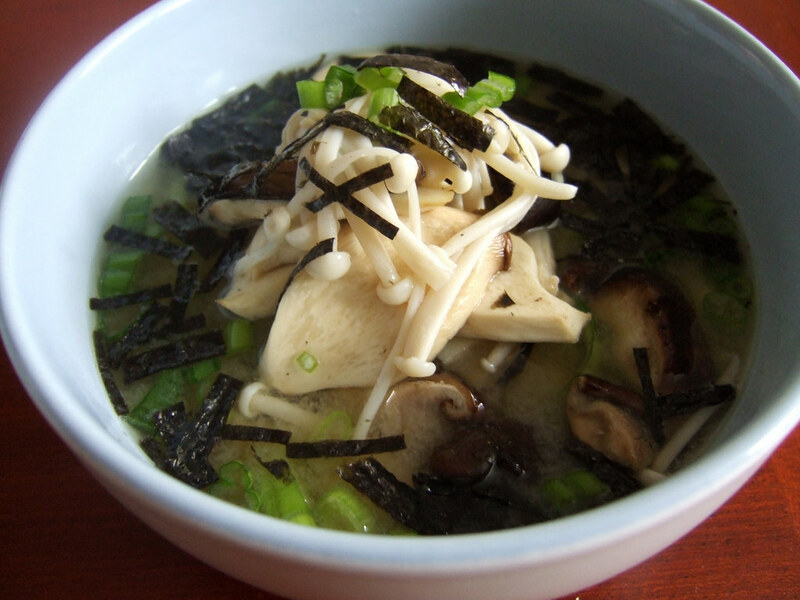 Day 1 featured a light lunch of Vegetarian Miso Soup with Baby Bok Choy, Bamboo Shoots, Tofu and Foil-Baked Mushrooms. 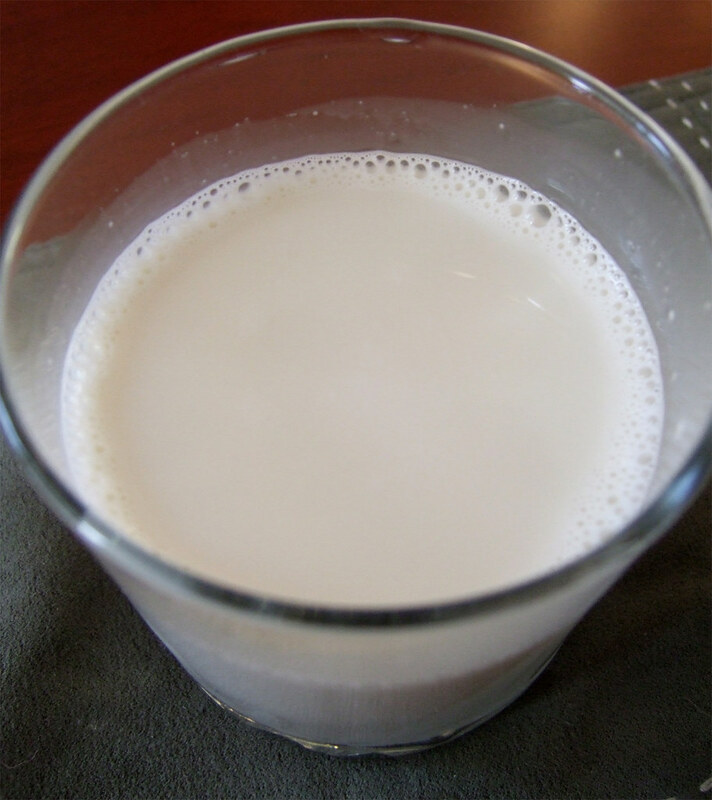 Forced to give up dairy, I turned to almond milk as a non-dairy substitute. It was actually my first time trying almond milk, and it was incredibly delicious. I also made a batch from scratch, just to compare with the commercial stuff you’d buy in the stores. So good! 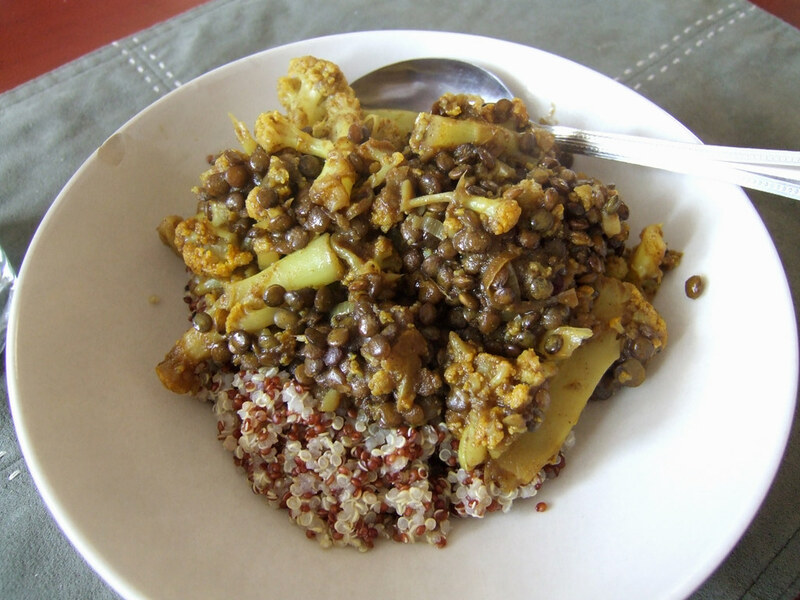 Dinner was a healthy and delicious Cauliflower and Lentil Curry, served with quinoa. It was also my first introduction to quinoa, and I quite liked it, with its unique flavour and texture. It definitely makes a great substitute for rice and is much healthier for you. If you’re not a fan of lentils, this recipe works just as well with beans (like chickpeas). Be sure to use dried beans though. Yes, it will take more time to cook the beans, but at least you’ll be reassured that you won’t be eating all the additives that you might find in canned beans. In a large deep pan, heat the oil over medium heat. Add the onion, curry powder, turmeric and ground coriander and cook until the onion is tender, about 5 minutes. Add the garlic and ginger and cook until fragrant, about a minute. Add the cauliflower, lentils, tomato paste and water and bring to a boil. Reduce the heat and simmer, covered, until the lentils are just tender, about 15 minutes. simply.food February 21, 2010 at 4:18 p.m.
Great idea to get back into shape.Do drop by simply.food sometime.